Mostly cholesterol stones (80%), pigment stones or mixed stones. Whether cholesterol remains as solution within bile depends on it's concentration, and the levels of phospholipids and bile acids within. If the bile is supersaturated by cholesterol, and/or levels of phospholipids and bile acids is low, this promotes formation of cholesterol crystals. These cholesterol crystals are toxic towards the gall bladder musculature, and hence damages it. This results in gall bladder hypomotility, and enhances the nucleation of theses gall bladder crystals. Eventually, gall stones are formed. As for pigment stones, there are 2 types, namely black and brown stones. Black stones are sterile stones, usually caused by extensive hemolysis leading to unconjugated hyperbilirubinemia. Eg, seen in Hereditary Spherocytosis, Sickle-cell disease. Whilst brown stones are non-sterile stones, mainly caused by infection. Eg, certain bacteria (E.coli) produces B-glucoronidase, which converts conjugated bilirubin back to unconjugated bilirubin. Usually caused by obstruction of cystic duct by gall stones, leading to gall bladder distension, chemical inflammation, and eventual bacterial infection. Before proceeding to investigations of Acute cholecystitis, briefly about biliary colic. It's actually a misnomer, caused by spasm of gall bladder musculature, trying to force the stone down the cystic duct. The pain is typically aggravated by intake of oily food. Since after ingesting oily food, as it passes through the 2nd part of duodenum, it stimulates the production of cholecystikinin from the duodenal mucosa. It causes contraction of the gall bladder musculature over the stones, hence causing pain. Duration of pain typically lasted < 3 hours. It's a pseudocolic, since there's no complete relief of pain in between periods of excruciating exacerbations. There might be nausea and vomiting. On examination, there may be tachycardia, but fever is absent. On abdominal examination, other than tenderness, guarding, usually there's no other signs. Hence, there's a frequent overlap in between the clinical features of biliary colic and acute cholecystitis. Cholecystectomy can be done via laproscopic approach or laparotomy. Gall stone impaction occurs at cystic duct. 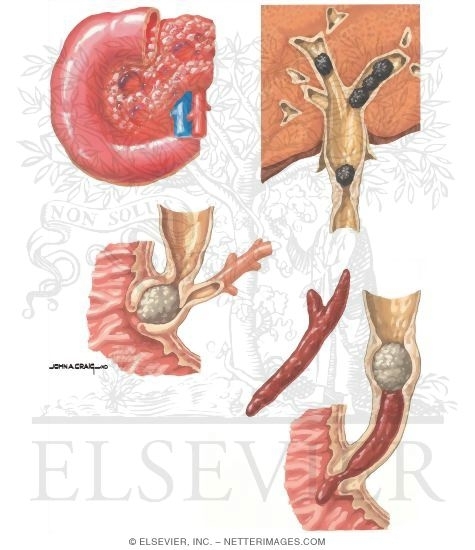 There's impingement of the gall stone over the common hepatic duct, which eventually results in formation of a fistula in between the gall bladder and the bile duct. An exception towards the Curvoisier's law. Usually the source is from cystic artery. Drastically reduced after administration of prophylactic antibiotics before cholecystectomy. Usually due to disrupted ligature, or accidental removal of any accessory ducts. Patient usually complains of persistent abdominal pain. 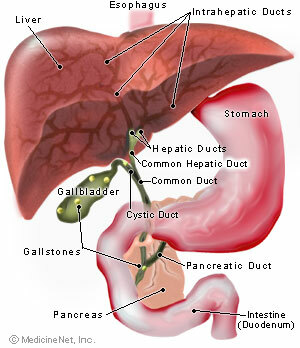 Any procedure done to explore the common bile duct requires insertion of T-tube. This is to prevent biliary stasis due to formation of stricture. The opening of bile duct is sutured to the T-tube, which the long limb is brought out through an abdominal stab incision. Any bile is collected through a bag.